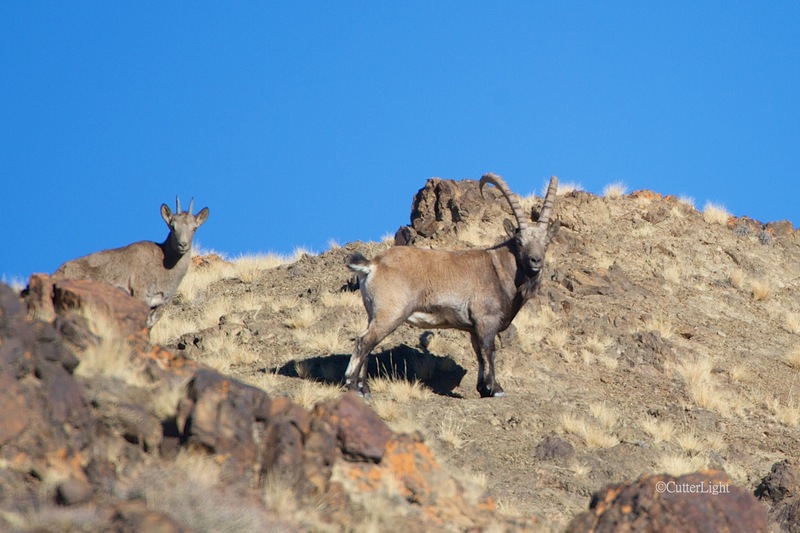 On our second day in the Yolyn Am Canyon in mid-October, we encountered more ibex such as this handsome billy. The sheer number of raptors was astounding. 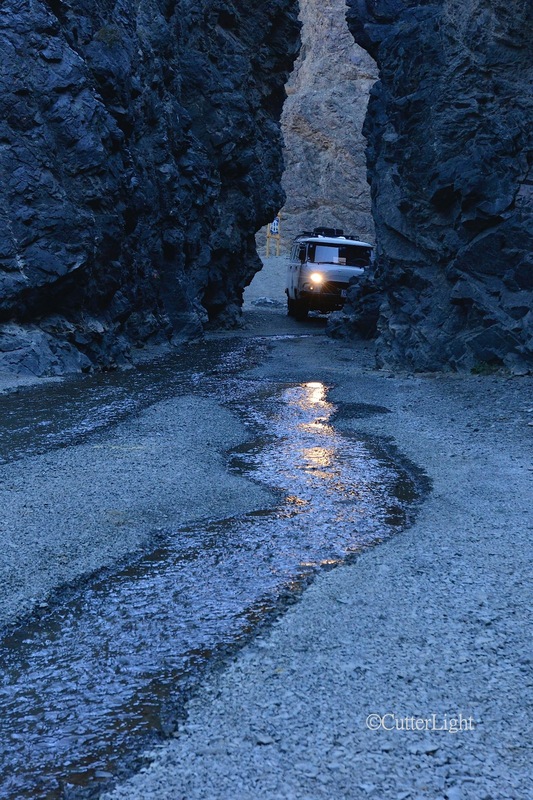 Out trusty Russian van slipped through a seemingly impossible passage. Here and there, falcon, hawk and eagle’s nests were perched on ledges along the craggy, vertical walls. 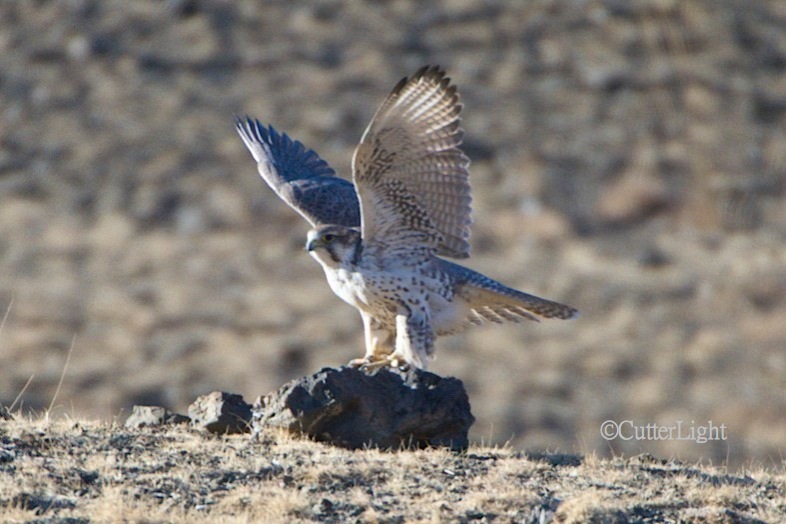 A saker falcon stretches his wings during a morning of hunting. 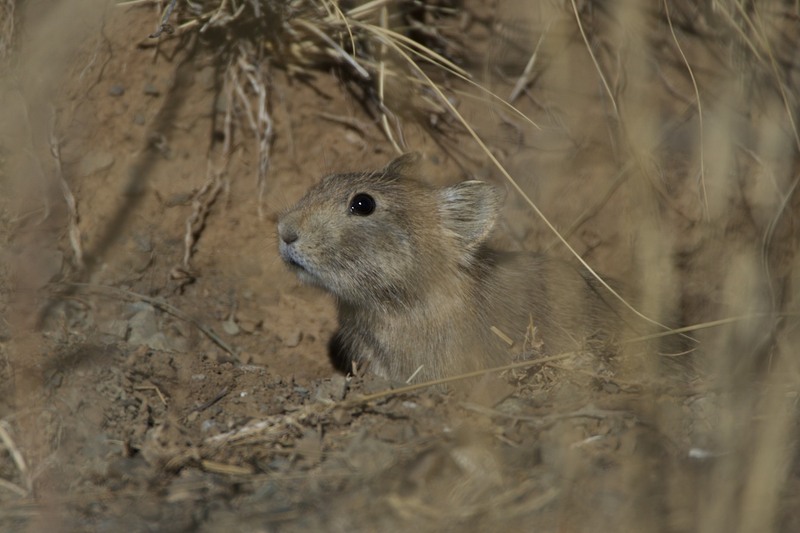 Small birds and mammals abound in the canyon, providing ample forage for raptors and other predators. On this morning, swarms of wheatears seemed oblivious to this rough-legged hawk, which was probably hoping to score one of the canyon’s many small mammals. This shy pica had good reason to be on high alert. 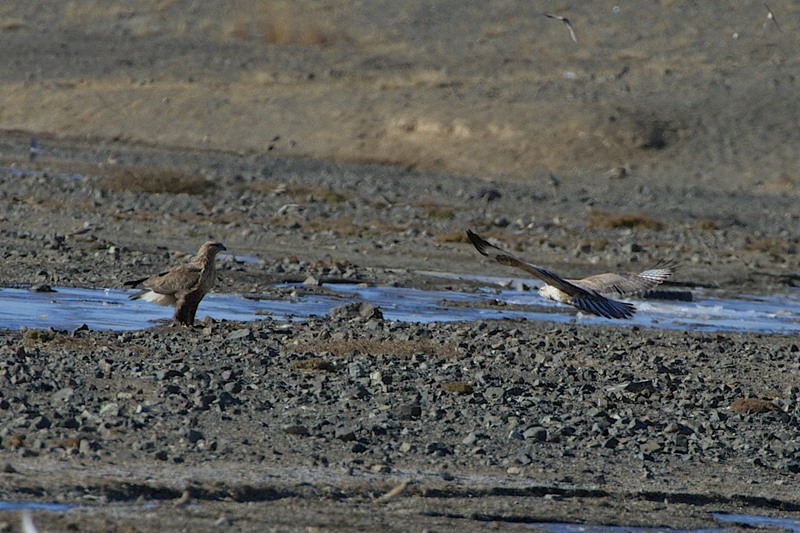 Probably a mated pair, these rough-legged hawks were hunting along a spring creek. During our two-day journey on foot and by van through the canyon, we saw over 20 ibex. Bearded, muscular and with iron-like knobbed horns silhouetted against a blue Mongolian sky, this billy cast a baleful eye on us as he calmly passed by. 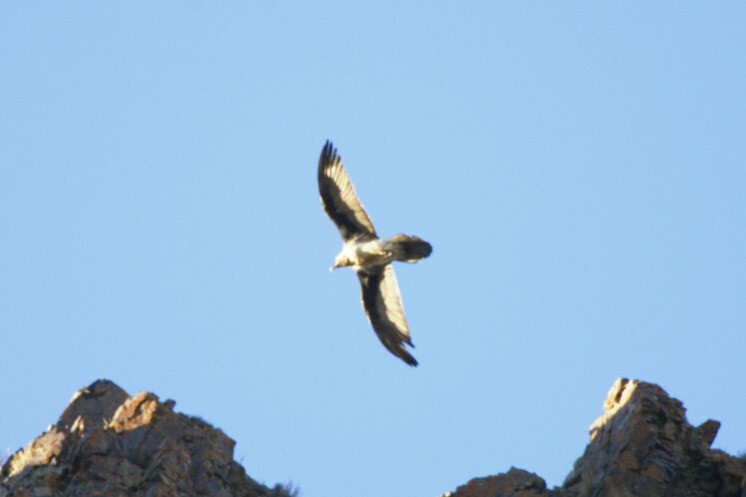 The shape of the tail and the gold under the chin make it easy to identify this as the Yolyn Am’s eponymous bird – a lammergeier, also known as a bearded vulture. They kept their distance. 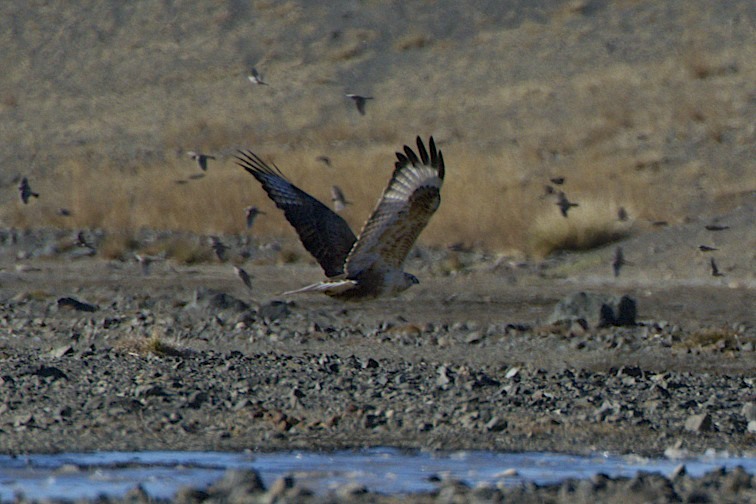 We have equally blurry shots of the canyon’s golden eagles. Fantastic photos as always! 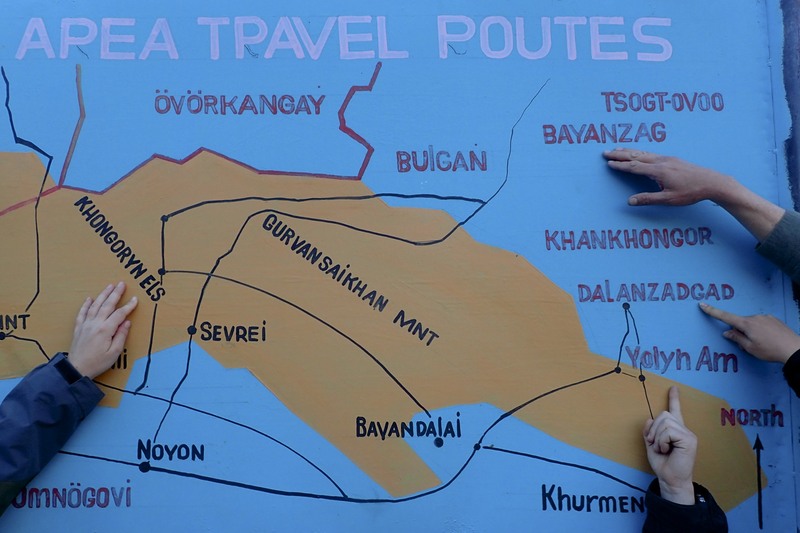 I am now as of this moment in love with a Mongolian pica. You know those kitties love a good stretch!